In medium bowl, mix half-and-half, eggs, salt and pepper; set aside. Layer bacon, cheeses and onion in crust-lined plate. Pour egg mixture over top. When you unroll the pastry dough, lay it out on floured pastry cloth or silicone baking mat. Roll the dough out so that it’s about 1 inch larger in diameter. 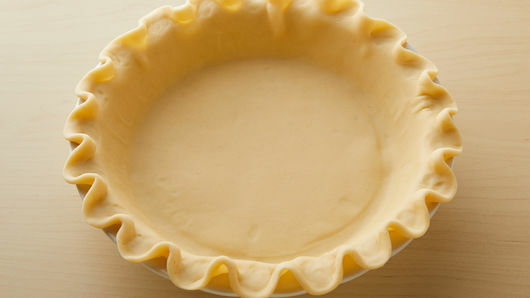 Sprinkle a little flour in bottom of the pie plate; fold the dough in half, lift it up and lay on half of the dish. Unfold the dough and gently ease the pastry into the pan. Use a wire whisk to beat the half-and-half with the eggs, after seasoning them. A whisk is the most efficient way to really blend them together, creating a custard mixture that will meld well with the rest of the ingredients. Try slicing the bacon slices crosswise into 1/2-inch pieces before cooking them in a skillet until nice and crisp. Drain the pieces well on paper towels—no need to do anything more than layer them in the pie plate. Finish the unbaked quiche with a sprinkle of chopped green onion to a pop of color and flavor. Frozen cut broccoli, thawed and well drained can be substituted for fresh broccoli. While it may seem like a next-level gourmet dish, this easy quiche recipe streamlines the process for you and requires just 10 minutes of preparation time. 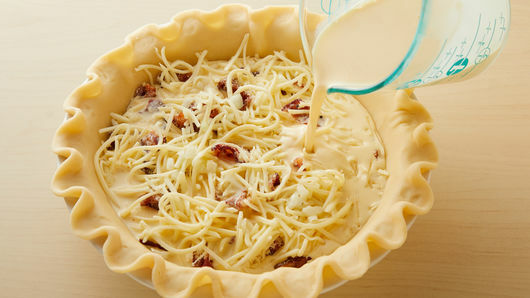 By starting with Pillsbury™ refrigerated pie crust, all you need to mix together is the filling ingredients. Want to try something different for your protein? Feel free to mix and match with ham, sausage or any other cooked meat. 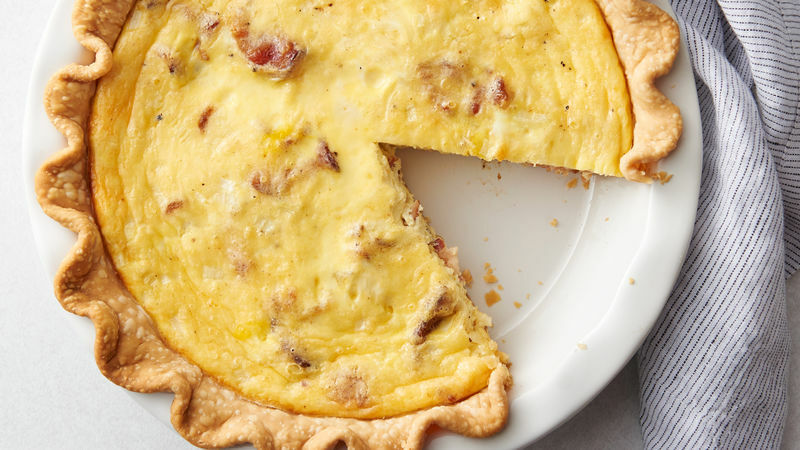 If you’ve ever wondered how quiche came to be such a symbol of elevated dining, you might be surprised to know that cooks throughout Europe were using eggs and cream in pastry at least as early as the 13th century. Some food historians trace the word “quiche” to the German word “kuchen,” or cake. It was the French who took the idea of a quiche recipe and made it uniquely their own. Speaking of making it your own, check out all of our best quiche recipes to the one perfect for you!